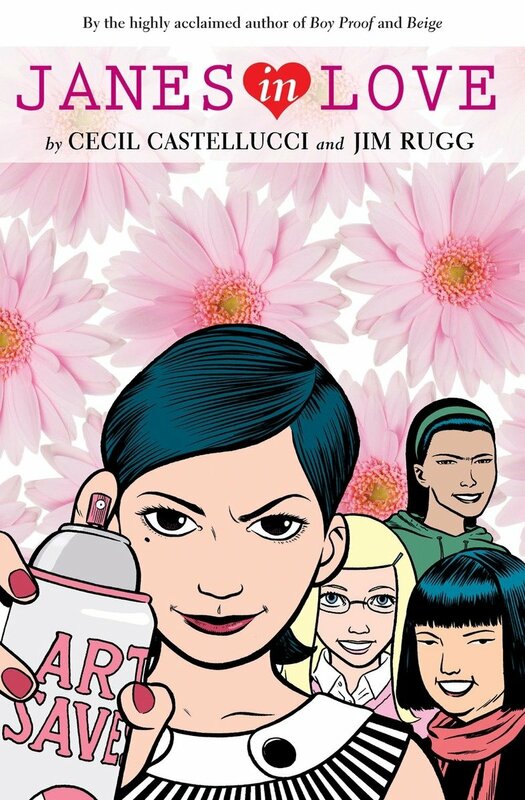 Noted young adult novelist Cecil Castellucci and artist Jim Rugg launch MINX with The Plain Janes, a story about four girls named Jane who sit at the reject table at lunch. When transfer student Jane is forced to move from the confines of Metro City to Suburbia, she thinks her life is over. But there in the lunch room at the reject table, she finds her tribe: three other girls named Jane. Main Jane encourages them to form a secret art gang and paint the town P.L.A.I.N.—People Loving Art In Neighborhoods. But can art attacks really save the hell that is high school? Discussion guide for teachers from the CBLDF here.